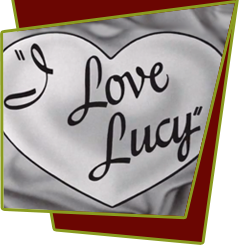 A newspaper account about a woman who was robbed and then ignored by her husband in her dire moment of need prompts Lucy to assume the same will happen to her. Would Ricky rush home from the Tropicana if Lucy phoned in a similar predicament? He assures her he would: "Right between the Baba and the Lu." But when Lucy tests Ricky's valor once too often, he decides to teach her a lesson. While Lucy perches on the apartment ledge, feigning being kidnapped, he and the Mertzes have their fun. Fred: "Are you going to call the police?" Ricky: "bad publicity." Knowing full well that Lucy can hear everything he's saying, Ricky offers Ethel his wife's clothes. Ethel: "I will have to have them altered. They're much too big in the hips." For Little Ricky's sake, Ricky admits he'll remarry, but "I'll wait a respectable length of time, about ten days." This is more than Lucy can stand, and she reappears upset. Ricky assures her that they knew all along she was just "yelling tiger" (crying wolf). When Lucy really is being carried off by two thugs, Ricky and the Mertzes think she's bluffing again, much to Lucy's dismay.